The 1840s were the 1960s of the nineteenth century: new technologies were creating a new prosperity for the new American nation, and self-reliant individuals thought that they could create a new world by following their hearts. Henry David Thoreau famously tried to invent the economics of self-reliance at Walden Pond, and when Margaret Fuller met Ralph Waldo Emerson, the guru of self-reliance, she thought she might reinvent marriage as well. Emerson was newly married to his second wife, but Fuller saw herself as Emerson’s ideal companion nonetheless, and she fought for a place in his heart and in his life. The relationship that followed was never consummated, but it caused both Emerson and Fuller to question the value of marriage for self-reliant individuals. 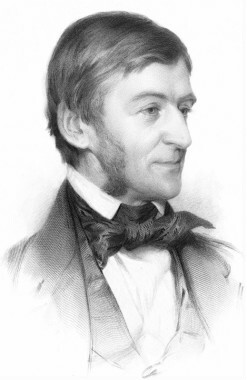 In their journals and in their writings, in their letters to each other and in their own marriages, Emerson and Fuller both strove to find peace between the long-term commitment of marriage and the relationships their hearts and minds suggested might be possible. "The Dangers of Passion is a physically beautiful volume, and the contents are worthy of it, a provocative exploration of an adventurous friendship in which one social rebel challenges another." — Bell Gale Chevigny, author of Margaret Fuller: The Woman and the Myth, and Doing Time: 25 Years of Prison Writing. — Len Gougeon, former President of The Ralph Waldo Emerson Society, author of Emerson & Eros; The Making of a Cultural Hero. "Transcendental ideals and earthly desires collide in this search for new forms of friendship, new expressions of love, against the backdrop of New England traditionalism." The Dangers of Passion is available now at Levellers Press in Amherst.